SOLD! Meatball Male CKC Havanese Says Let The Loving Start Here! See my Baby Book on Flickr & watch me grow! Waiting on my new name and my new home is Orange Park, FL. 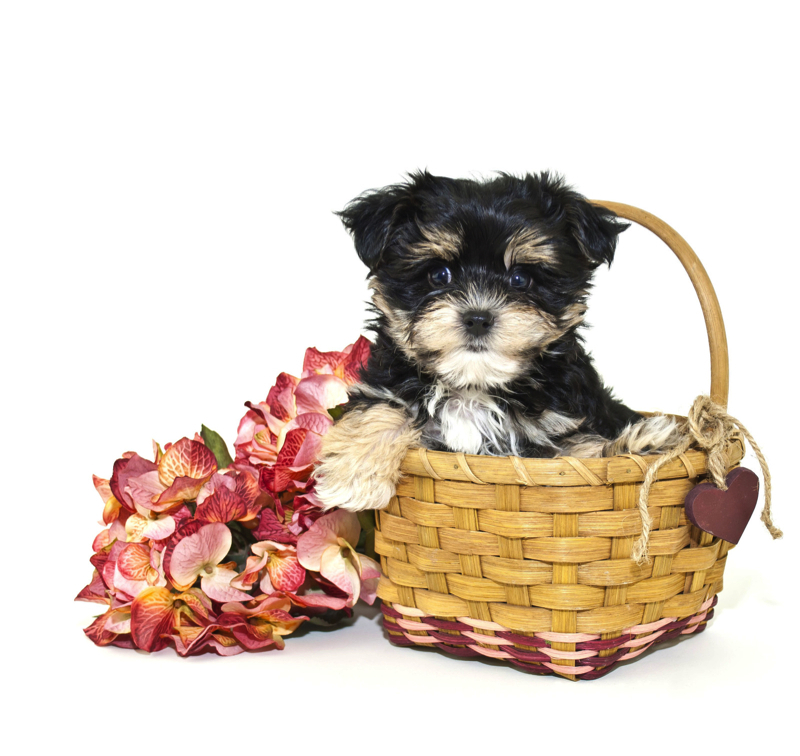 Meatball is a CKC Havanese he is from a litter five adorable pups five males and one female ALL are so sweet! He has gorgeous brindle with white silky soft hair will entice you to run your fingers through it and the sweetest eyebrows. His eyes are so gorgeous they look like movie star eyes. His tail will make you giggle as he wags it in excitement of seeing you or pleasing you. They are toy size mom is 12 lbs dad is 10 with his weight now he is estimated adult weight is 8- 10 lbs unlike regular Havanese that weigh 18-22 lbs they are ready to steal your heart! « SOLD! 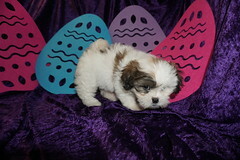 Noodles Gorgeous White Male CKC Havanese Whose Ready To Steal Your Heart!